There is no hype with Garage Doors Compton. We simply do your repairs and move on. Nothing is too challenging for us. We deal with various types of motors and Genie structures. If you are looking for Liftmaster adjustments or sensor repair, then this is the best choice. We will also do simple things like garage door hinge adjustments. If your spring is broken, we will repair it. If your cable is frayed, then we will ensure that it is back to its standard working abilities. Garage door tracks will be examined for signs of wear and tear, so that they can be repaired if necessary. If you require spare parts, then our team will try to source the best that the market can offer at the moment. 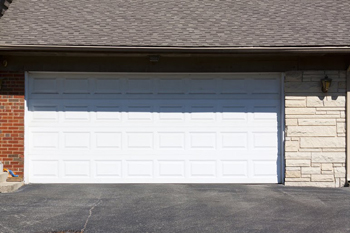 In other words, we are the first and best choice for garage Overhead Door Repair in general. If you need a new garage door that you can afford, let us provide it to you. We install every type of garage door available on the market today. Installing a door is serious business, as it is very heavy and has many different moving parts. Give us a call and leave the hard work to our trained professionals. The training that our experts receive makes it possible for you to get the door you’ve always wanted. It is also possible for them to evaluate and repair your automatic garage door opener, when it appears as though the problems you are having stemmed from a malfunctioning opener. Let our professional team of service technicians find out what the issue is and resolve it for you. What are the signs that indicate probable damage? You may notice that the frame is cracked or that the garage door is moving slowly. Some of them get stuck completely and, as a consequence, you might get trapped inside or locked outside of your garage. Sensors can also be problematic because they tend to fail from time to time. Of course, if you do not have the support of a technical team, the frustration might drive you to do some botched DIY work. This is not a good idea from a cost perspective and also for safety reasons. Never attempt to repair a garage door unless you know what you are doing. In any case, our team is here to help and there is no need for you to be involved in procedures, which can be easily completed by someone that has been working in this industry for years. Programming is one of the more complex jobs and few home owners would dare to attempt it without the advice of a specialist. In any case, one of our service packages involves ongoing care, maintenance and general advice. That means that you are not liable to make mistakes since there is always someone giving you advice on the best way to approach things. The first thing you need to do, when you buy a garage door or move into a new property, is to call a specialist. Garage Doors Compton is within the locality and will be able to serve local residents in this respect. Our prices are customer friendly since we operate in a wide field and are able to offer discounts to loyal customers.